As I was growing up in Eastern NC, I developed a strong passion for boats and fishing. There were very few days I wasn’t sketching boats, building skiffs in my parents’ garage, or fishing with my family at the Big Rock. During high school and college, I worked for a few boat building companies while developing my own sense of style and design. In 2006, I discovered a new boat project that Will Copeland, also an enthusiastic fisherman and past owner of Propagator Sportfishing, was starting and I wanted to help with. From there, Winter Custom Yachts was born. Since its inception, I have strived to perfect every technique and component to optimize the unique fishing experience my clients want to achieve. During the process, I work alongside my clients to make the build process enjoyable; so much that some have repeated the process several times. They recognize their boat is not only a fun venture, but it also affords an excellent investment. 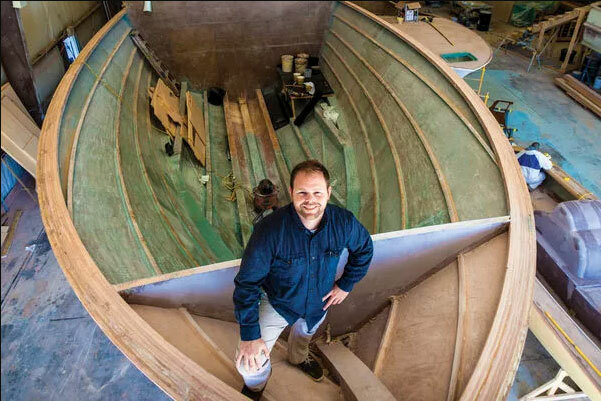 It has always been my desire to build the best boats on the water. I never compromise on details and will always deliver the finest custom sportfishing boats that my clients are proud to own.